Chelsea manager Maurizio Sarri warned his players about complacency prior to the merciless thrashing of Huddersfield on Saturday, according to N'Golo Kante. The Blues came into the match off the back of two consecutive Premier League defeats, the second of which - a 4-0 pummelling at Bournemouth - was their heaviest since 1996. After that match, Sarri kept his players in the dressing room for 45 minutes to warn them about their mentality, calling into question their record against some of the Premier League's smaller sides. 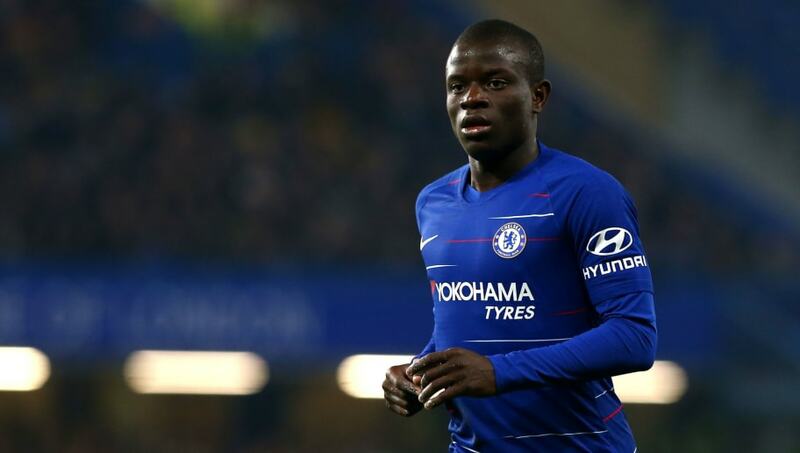 "I think the manager, the supporters and also us the players, we wanted to react in the best way after our performance at Bournemouth," said ​Kante, quoted by ​the Mirror. "The post-match discussion in midweek? It was just to make a point about our performance and the way we want to go for the next game. "I think when we play an important game against a top team maybe we are not the same focus as when we play another opponent. "He wants us to reach a same level of application and focus in every game, because the most important is the win and to be ready for every kind of game. "Some of the games we have lost this season we were in control in the first half, like Leicester, Wolverhampton, Bournemouth, and I think we played well and didn’t score and then lost the game. "It is difficult to explain but we need to work on that. It is important." The win against Huddersfield sets ​Chelsea up nicely for a busy month in which they face ​Manchester City in the Carabao Cup final, ​Manchester United in the FA Cup fifth round, and Malmo in the Europa League.